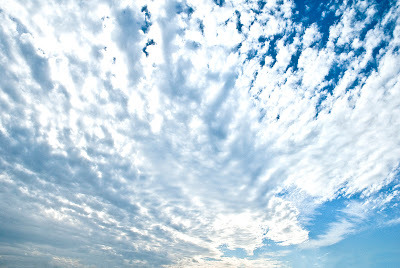 *sigh* HOW I love clouds! Beautiful sky there Susan! @Ajira: Thank you for heading over and leaving a comment! I truly appreciate it! @Nicole: I'm sure hoping that this hurricane force wind will blow me all the way through the storm and land me in the place I want and need to be in! Thank you so much for coming on over and taking the time to read and leave a comment! I love it when people leave a comment!